If you're not confident enough to rock a camo shirt, wearing an olive green blouse is a great way to inject the military trend into your daily outfits. Pair it with a burgundy skirt for a wonderful Autumn look or perhaps with a pair of leather pants for a more street style vibe. 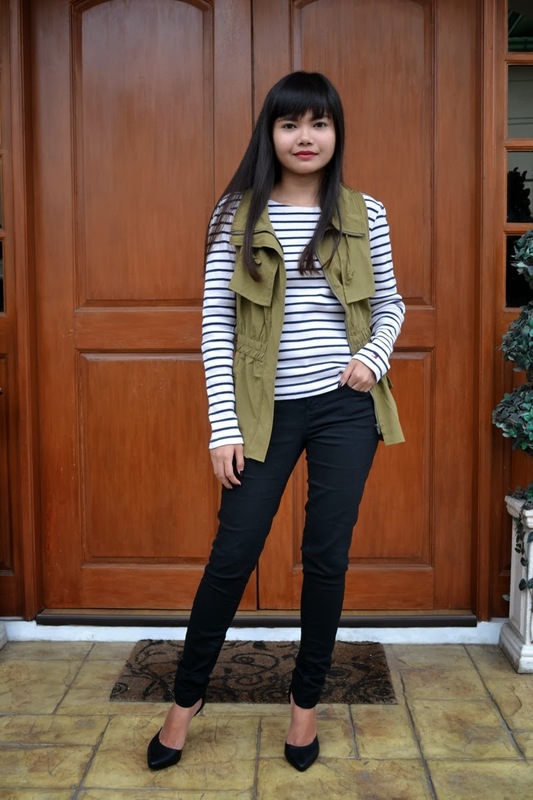 Instead of wearing ultra-feminine heels, I wore brown peep-toe boots with mesh details to toughen up my outfit. 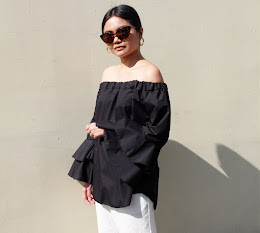 Check out how I previously styled this top here. 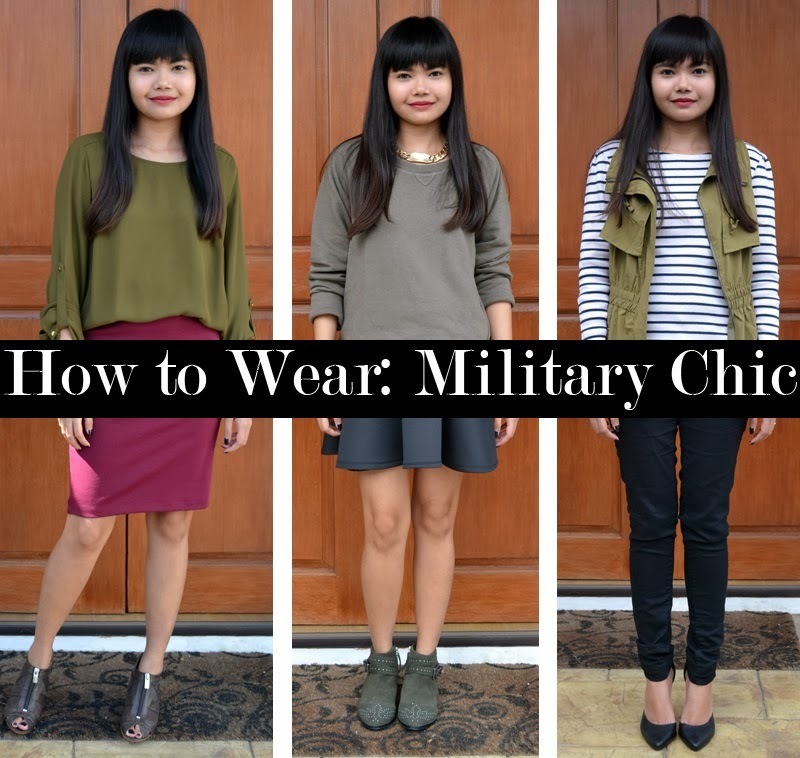 An army green sweatshirt is also another good alternative for a fatigue shirt. Choose one with a loose fit and pair it with a voluminous bottom such as a full circle skirt. Roll up the sleeves, accessorize with an ID necklace or any chain neck piece and complete the look with edgy studded ankle boots. If you are not very experimental with your sartorial choices, you can easily wear this army style by layering a utilitarian vest over a Breton shirt. Donning military-inspired jackets instantly gives any outfit that extra edge without making it look too tough or overly masculine.